When you run the test runner from Jenkins, you may encounter the "License not found" error. A common cause of this is that you are not running Jenkins under the same user account you used to activate the SoapUI license. Whether you are running Jenkins independently as a service or on your application server, you need to ensure it is running under the same user account you used to activate the SoapUI license. This topic describes how to fix the issue. 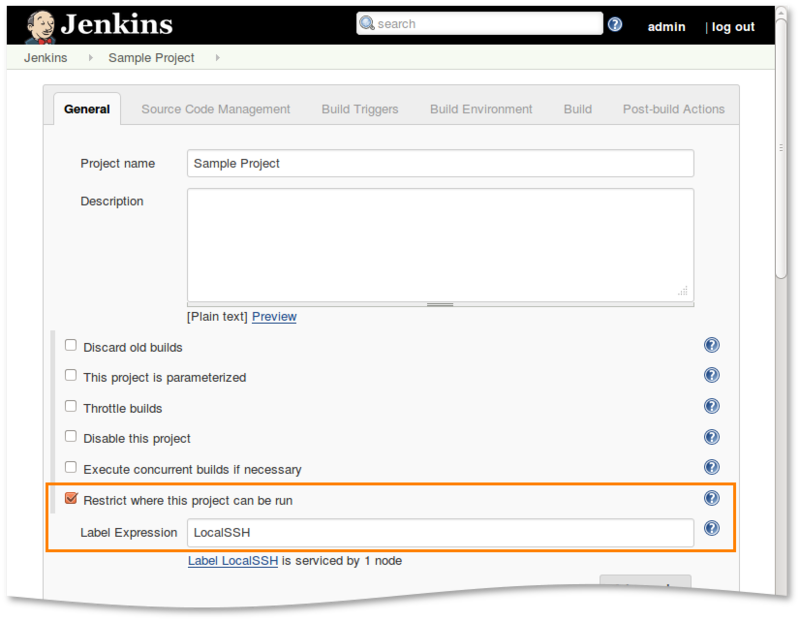 The following scenario describes how to configure licensing on the Jenkins master machine. On slave machines, you need to repeat this scenario using the same user account you used to activate the license. Make sure you have a valid license activated. If you do not have a valid license, activate a SoapUI license (see License Activation). Select System and Security and then Administrative Tools. Search for the Jenkins service. 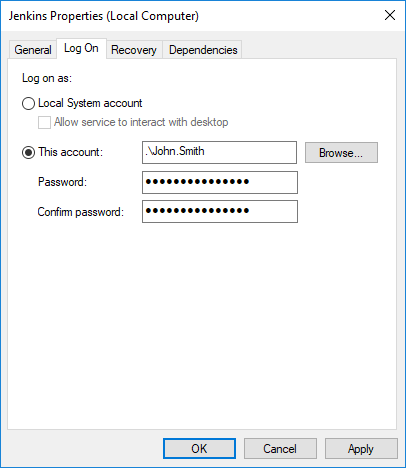 On the Log On tab, select This account and enter the credentials of the Windows user account you will use to run SoapUI. Note: This is the account that you used when activating the SoapUI license. Restart the service to apply the changes. 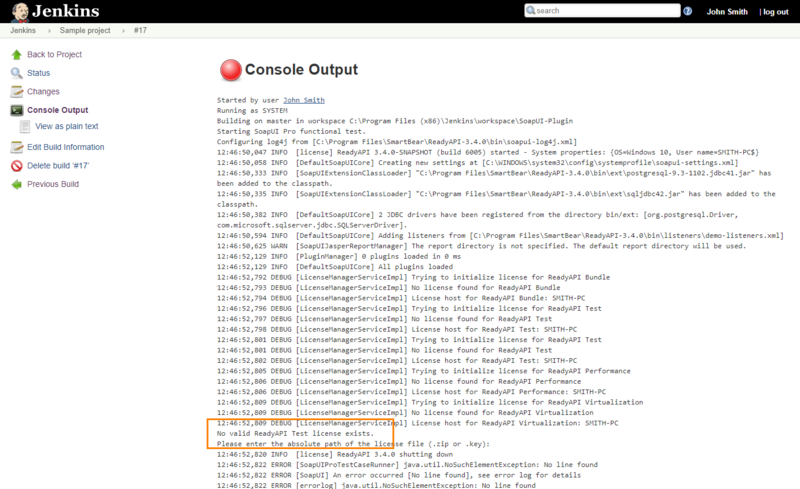 In Jenkins, go to Manage Jenkins > Manage Nodes > New Node. 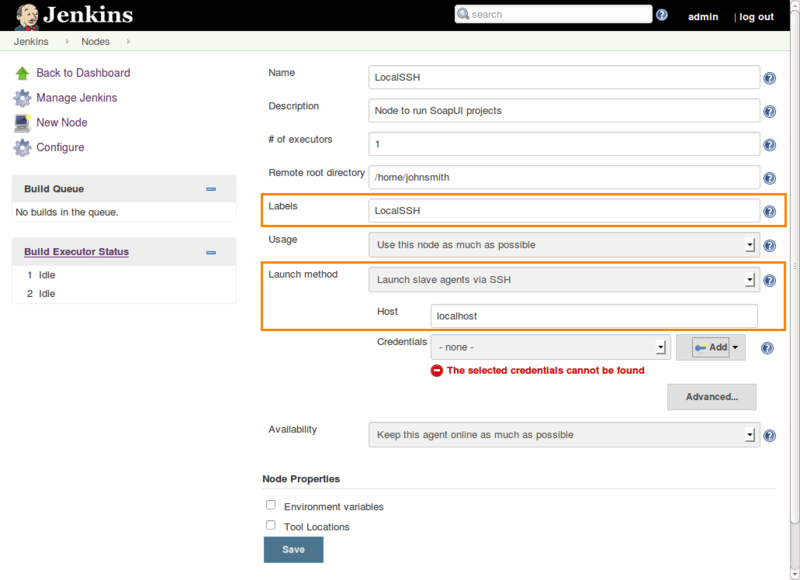 Specify the name of the node and select the Permanent Agent mode. Click OK.
To run a particular job on this node, specify a unique label for the node. In the Launch method drop-down list, select Launch slave agents via SSH. Specify localhost as a Host. 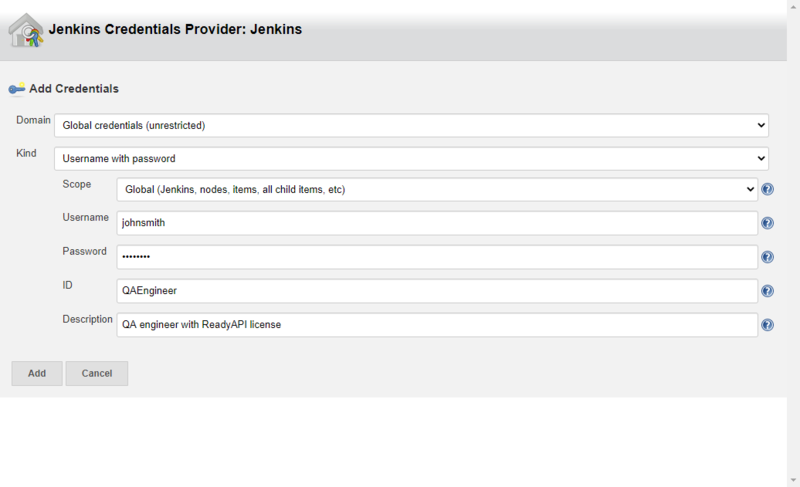 In the Credentials field, click Add and select the Jenkins provider. Specify the login and password of the user under which you want to run a job and click Add. Select the created credentials from the drop-down list. Click Save to create the node. Enable the Restrict where this project can be run option. Specify the needed label in the Label Expression field. This will force Jenkins to run under the needed user account, so the License Not Found error will not occur. Note: This workaround does not work on Linux/OS X slave machines properly. In this case, you need to use the approach described above. If you fail to resolve the issue, please contact SmartBear Support.